Do you have friends or family in Canada? Why not send them one of our gift baskets, hampers or flower bouquets with free or low cost express delivery to Canada. Not only that, ordering online is easy with UK customer service and no additional extras, so even though you can't be with your Canadian relatives or friends, we will make sure they have a gift delivered to them that shows how much you care! Choose your delivery date at checkout for fast Canadian delivery. .
Order online from Clearwater Hampers and have your hamper or gift basket delivered fast and free with many hampers delivered to Canada. With a huge range of gift hampers available, including birthday themed hampers and a festive collection of Christmas hampers, we are sure that you will find the right hamper for any occasion. Sending gifts to Canada is easy, simple and fast with Clearwater Hampers and our range of Canadian delivered gift baskets and luxury hampers. Our range of gift hampers and food gift baskets make excellent gift ideas for friends and family in Canada. 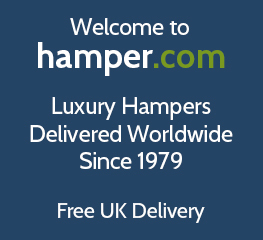 Once you’ve chosen your hamper, you can order and have it sent from the UK or locally and delivered across and to any address in Canada and even choose the day for delivery. Many hampers delivered to Canada also include free Canadian delivery! If you would like any more information about our great range of Canadian hampers, or want clarification on which of our Canada hampers are available with free worldwide delivery, simply get in touch with our friendly team. Give us a call on +44(0) 1235 833732; we'll be happy to help.